You love that beehive look, and you need that perfect high beehive look for your next performance or other event? 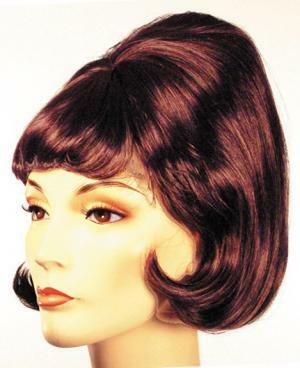 Look no further than the Beehive Spitcurl Wig. This even higher version of the previous Spitcurl will suit your need for the high style atop your head that you are looking for. It is even available in 22 colors, so you can be sure to find just the right shade for your costume or outfit. You will love this look and the way that it curls up along the side of your face.